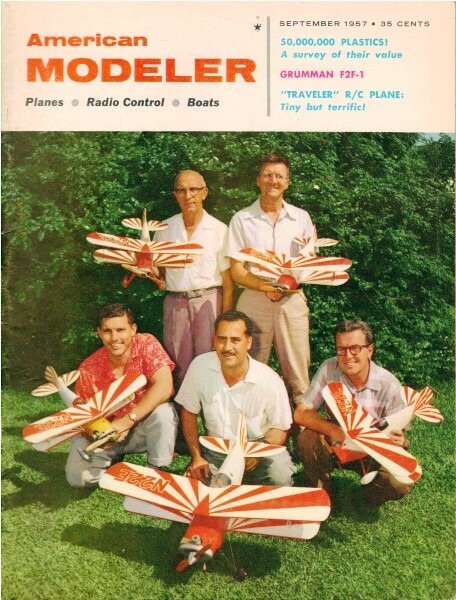 This particular page is from the back cover of the September 1957 issue of American Modeler magazine. 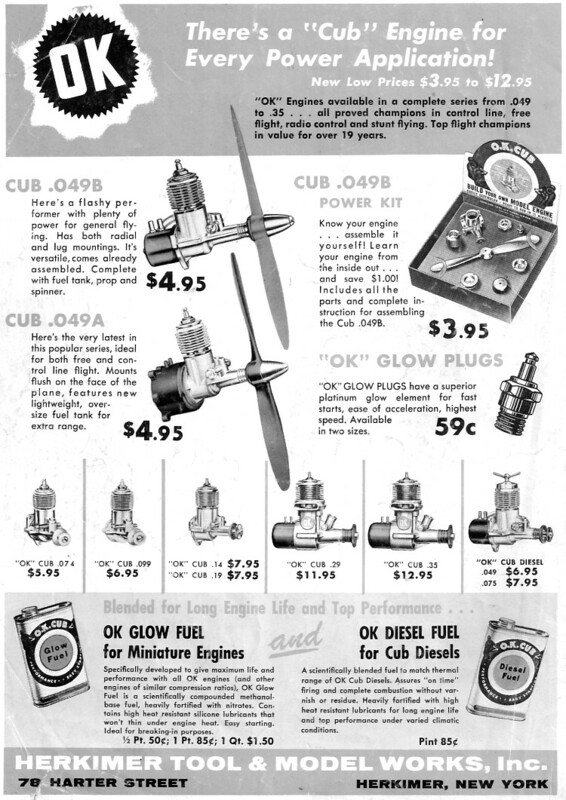 Herkimer Tools & Model Works (OK Cub engines) is no longer in operation. All copyrights (if any) are hereby acknowledged. Use the U.S. Bureau of Labor Statistics' inflation calculator to see what items cost in today's dollars. For instance, that $4.95 "Cub .049B" would be $38.17 in 2010 money.